Soothes Stress and Uplifts Environment! Tangerine Essential Oil is rich in d-limonene. Uplifts and eases stress plus smells great! Cold pressed from the rind and is a species variation of the mandarin orange. Tangerine variations can be of the species citrus nobilis or citrus reticulate so it can be a bit confusing. The citrus nobilis species is often associated with the tangor or temple orange so for our purposes we will stick with citrus reticulate! Mandarin and Tangerine have very similar properties and are often interchanged; however, there are some differences in chemistry. Mandarin essential oil contains esters while tangerine does not. Mandarin oil also has greater alcohol content. And Mandarin is steam distilled from the leaves, not the rind! Tangerine contains 85-93% limonene. Limonene is found in citrus oils. Do you love the smell of citrus oils? I do! Try Citrus Fresh essential oil blend that contains tangerine, orange, grapefruit, lemon and spearmint essential oils. My favorite blend of oil that contains Tangerine essential oil is Peace & Calming essential oil blend. This is excellent oil for calming dogs, horses, and humans, and is relaxing before bed time! Read below for more information on Tangerine essential oil and how to use it and what to use it for. This section will also provide you with some fun suggestions, safety precautions for you and your pet! As I receive new tips and testimonials for Tangerine Essential Oil they will be added to the page, so check back frequently! 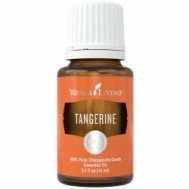 Want to Purchase Therapeutic Tangerine Essential Oil? Go to the Oil Shop! Tangerine Oil Here! What is the Genus Species? Citrus reticulate. See introduction for more clarification! Why is this information important? It's always important to know the genus species of your oil. Just the common name on the bottle doesn't really tell you exactly what you’re getting. Where did the name come from? Tangerine comes from Tangier, Morocco which is the port that the first tangerines were shipped to in Europe! Why is this information so important? Its not, it's just a fun fact! What Part of the Plant is Used? Cold pressed from the rind. Did you know that tangerines have been grown in China, Japan, and Djibouti for over 3,000 years? Wow, that is a long time! What are the Documented Uses and Benefits of Tangerine? Supports healthy digestive system. Antioxidant support. What is the Aromatic Affect on the Mind? Its fresh and citrus aroma is very calming to the body and mind. What is the Spiritual Influence? Tangerine is gentle and subtle oil that supports us to embrace change with enthusiasm and grace. It releases old programming that prevents us from obtaining our goals and instills confidence that we can obtain our new goals and dreams. It also asks us to be fully present so we may be consciously aware of our mental and emotional states. What Chakra is Affected? Root, sacral and solar plexus chakras align with the throat chakra. Interested in Dietary Tangerine for Your Culinary Adventures? Or as Dietary Supplement? Then check out Tangerine Vitality Essential Oil! Can this Oil be used for Pets? Yes, great calming oil and animals generally like the smell. Not advised for cats unless therapeutic grade! Tangerine is a key ingredient in Peace and Calming blend that I use daily at the barn. It really helps calming and centering young or restless horses. Great for riders too! Note about Animal Use: Certain oils can be very toxic to cats. Citrus and pine products and oils in particular. Please consult your vet if you are not sure about applying any essential oil to your pet. What are the Safety Precautions? Only therapeutic grade essential oils should be used for results. Because it is approved as a Food Additive (FA) by the FDA, Tangerine Oil is readily available on the market in many different qualities. Did you know that Tangerines provide a whole source of Vitamin C, beta-carotene and folate? They also contain other essential vitamin Bs, and potassium and magnesium! Diffuse tangerine with marjoram to release emotions of anger, grief and shock. Have a Great Experience to Share About this Essential Oil? 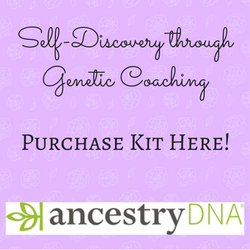 Do you have a personal story to share about this Essential Oil? Please share it here!